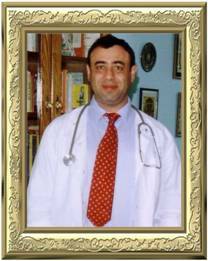 Doctor David Polyshuk, during 28 years of practical and theoretical research, has acquired knowledge and experience of both ancient and modern medicine. With the help of advanced alternative medical methods he has created unique formulas to treat a large variety of illnesses, and produce fast and effective results in both healing and preventative treatments. The uniqueness of these formulas is due to a combination of special ingredients, and the use of the latest bio-technological methods in their preparation. These formulas are based on ancient writings and the exclusive phyto-homeopathic remedies of Doctor Polyshuk, using a mechanism which enhances the functioning of the immune system and balances all of the bodyвЂ™s organs and systems. MEMORY - The specific unique formula for improvement of memory and concentration of thinking. PAINLESS PERIODS - Phyto-homoeopathic remedy from menopause pains, And also from inflow of the climacteric period for women. NO PAIN - A REMEDY FOR RELAXATION AND THE RELIEF OF PAIN. Good Night - A SPECIAL PREPARATION FOR STRESS AND INSOMNIA. ENERGY - A SPECIAL FORMULA TO STRENGTHEN MUSCLE TONE AND INCREASE ENERGY. PANACEA CREAM - Cream for a skin rejuvenation. STRONG ROOT - NATURAL MINERALS TO PROMOTE HAIR GROWTH. PANACEA OINTMENT - A SPECIAL OINTMENT FOR CUTS AND INFECTIONS. ANTI-PROSTATITIS - A PHYTO-HOMEOPATHIC REMEDY FOR THE PROSTATE GLAND. STRONG GUMS - A SPECIAL OINTMENT FOR THE TREATMENT OF GUMS. IMMUNITY - A SPECIAL PREPARATION FOR THE IMMUNE SYSTEM AND TO REGULATE THE FUNCTIONING OF ALL THE BODYвЂ™S ORGANS. This phyto-homeopathic formula is especially designed to improve short and long term memory. It enables concentration in making decisions quickly. It improves the circulation of blood within the brain cells by means of introducing minerals and proteins into the cells. It strengthens and aids renewal of the memory cells. It is especially useful during examinations, improving concentration and focus, and enabling clarity of thought for a prolonged period of time. It strengthens the ability to use abstract and cognitive thinking. It reduces the danger of acquiring AlzheimerвЂ™s disease, loss of memory, and sclerosis. DIRECTIONS: Shake the bottle well before use. Put 5 drops under the tongue as required, half an hour before or after meals. Contains only natural ingredients (plant roots, mineral and plant infusions). No preservatives. Made from infusions based on plant roots, with the addition of natural minerals. The ingredients are processed by special methods for achieving the maximum results of phyto-homeopathic formulas. It relaxes and balances the nervous system, and releases pressure and depression. It also alleviates anxiety, irritability, mental pressure, hysteria, and insomnia. Suitable for treating irritable and nervous behaviour in children. Helps in improving self-confidence, and improves vitality. Neutralizes conscious and unconscious fears, and improves confidence in oneвЂ™s own abilities and talents. Relaxes and reduces pressure. Prevents pessimistic thoughts. Improves state of mind and mental balance. Phyto-homoeopathic remedy from menopause pains, And also from inflow of the climacteric period for women. Stachys off. Ext,D6,12 Viburnum Opulus Ext. A natural phyto-homeopathic remedy for women to reduce hot flushes during the menopause. Also for use during irregular and painful periods, and for prolonged and heavy menstrual bleeding. Does not contain any hormonal additives. Has no side effects. Regulates mood swings and slows the ageing process. Heightens sexual libido. Reduces headaches, nervousness, and irritability. Alleviates vaginal dryness. Reduces stress and anxiety. Alleviates symptoms during menopause, such as hot flushes, depression, and atrophy of the vaginal mucous membrane. Stabilizes periods, and alleviates the symptoms of premenstrual syndrome and cramps and pains during menstruation. This preparation is made by means of special methods from infusions of plants, with the addition of natural minerals based on phyto-homeopathic formulas. It relaxes and balances the nervous system, and reduces stress, anxiety, and irritability. It reduces mental strain, and treats depression and insomnia. It is also suitable for balancing nervous and irritable behaviour in children. A unique formula to treat lack of strength and overtiredness. It improves and refreshes mental and physical vitality. Strengthens the muscles and gives energy to the whole body. Improves strength, muscle tone, and energy in sportspeople. Strengthens weakness in children. This preparation is made, by means of special methods, from infusions of plants and roots, with the addition of natural minerals, and is based on phyto-homeopathic formulas and ancient writings. A special preparation made from natural minerals and infusions of plant roots, prepared on the basis of homeopathic formulas. It promotes the growth of hair in medium baldness, helps with problems of the hair roots, strengthens weak and thin hair, and stops loss of hair. This preparation also helps in the health, strength, and growth of fingernails. This ointment is prepared on the basis of homeopathic formulas and ancient Indian writings. It contains only natural ingredients, with a large amount of proteins. It promotes the fast healing of cuts and wounds, healing purulent areas, and preventing the formation of scabs and scars. This ointment can be used on every part of the body. It can also be used on the face to heal cracks and spots. It heals infections of the skin. A combination of natural ingredients made from mineral and plant essences prepared on the basis of phyto-homeopathic formulas. This remedy reduces enlargement of the prostate gland, strengthens and improves sexual libido and activity in men. It unblocks and cleanses the urinary tubes, and regulates frequency of urination. It aids in the normal functioning of the urinary system. A new and effective ointment for the treatment of gums and the mouth cavity. Comprised of natural vitamins and minerals, and ingredients which contain phyto-homeopathic essences. Prepared by special methods based on ancient writings and formulas.